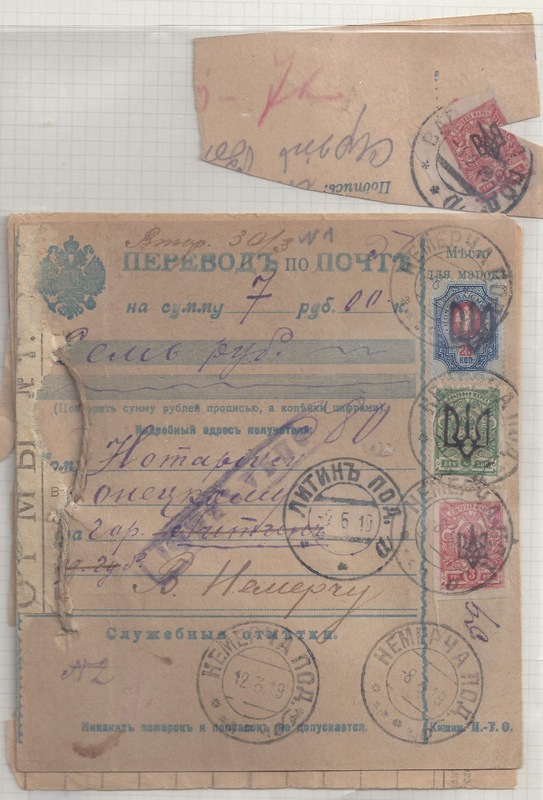 In response to comments from a fellow member of the Ukraine Philatelic and Numismatic Society, I illustrate a Money Transfer Form sending just 7 roubles from NEMERCHA POD. 8 3 19 to LITIN POD. 23 3 19. 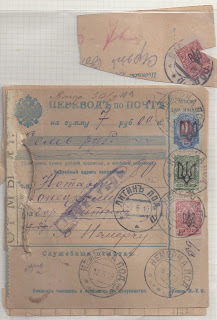 Payment of the minimum charge of 25 kopecks is recorded with 20 and 2 kopeck perforated stamps with Trident type Ia of Podillia (very different looking, in fact) and then by a 3 kopeck imperforate stamp overprinted with Odesa Type 2.